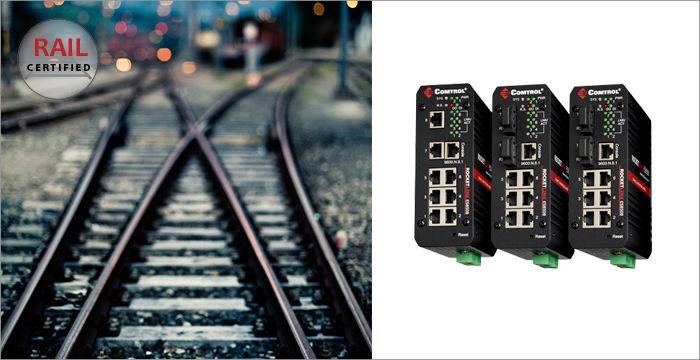 The RocketLinx ES8508-XT series switches carry the EN50121-4 (EMC compliance for railway track-side certification) and IEC 61373 (vibration/shock conformance in railway applications) standards, and have been tested to comply with strict railway standards governing both electromagnetic conformance and shock/vibration for rail-based equipment. Automatically detect and reboot any unresponsive PoE device on any PoE port! The RocketLinx ES8105-XT and ES8108-XT series switches will feature Class I Div 2 certification. Mobile configuration and diagnostics (iOS or Android) are available on our IO-Link Master gateways. Tech Tips – You can use these steps to configure a VLAN with RocketLinx managed switches! View Comtrol’s SMPTE (Society of Motion Picture and Television Engineers) products and features. We are excited to go live with our new website soon… expect some significant changes!